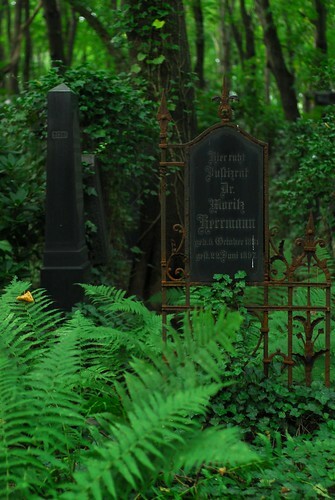 The last time I wrote an “Inspiration” post, I said: not to cause confusion with the blog title, but even though our little patch of earth decking is not a forest garden, I do find forest gardens inspirations, in terms of their atmosphere. The dappled light, the growth everywhere, the mixture of different foliage at different heights, it is all an atmosphere I would ideally want to evoke; but it clashes with our situation and our other aims. Just to increase the confusion, this second “Inspiration” post is also rather foresty. This time, though, it’s not even a garden. 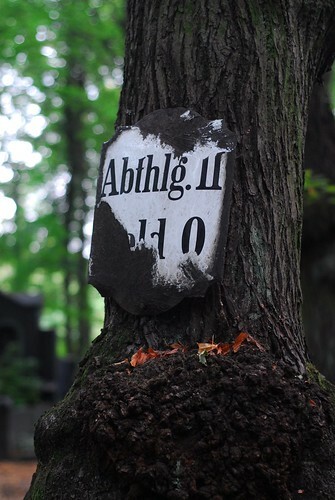 It is: the Weißensee Jewish Cemetery, in the Berlin suburbs, and the largest Jewish cemetery in Europe. 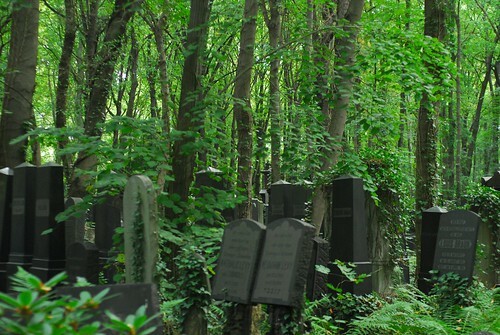 The paths are kept scrupulously free of leaves by the cemetery’s staff, but in line with Jewish traditions the individual graves are covered in undergrowth. 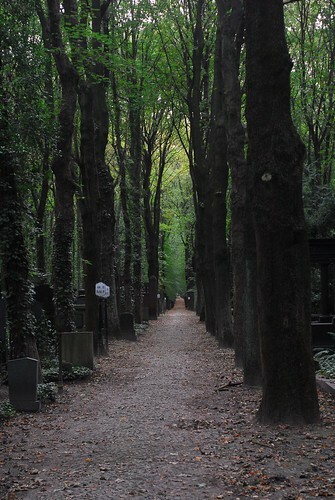 The cemetery opened in 1880, and somehow survived both the Nazi period and Communist neglect. Despite being declared a “cultural monument” in the 1970s, at the same time it was threatened by a road scheme. Nowadays, its future is more secure.